Submitted 1 year 11 months ago by FeedsFloor. Physical trade shows and exhibitions are still one of the primary activities used by companies to promote their company and new products toward existing or potential customers, business partners, finding agents overseas etc. At FeedsFloor.com, we also believe that the physical face-to-face meeting will never go out of style and the atmosphere of a trade show is the unique thing that attracts companies and people to come to exhibitions over and over again. However, many companies and organizations use thousands of dollars on exhibiting at industry exhibitions all over the world, while the vast majority use almost none to boost their trade show participation online. We therefore launched FeedsFloor.com in February 2017 to add value to both organizers, exhibitors and visitors. Below are 10 advantages of hosting and participating at EXPOs online at FeedsFloor.com. Hosting a physical trade show together with an online EXPO means that the organizer can include an even larger target group in the exhibition community. For instance, companies that do not have the resources to exhibit at the physical trade show can still have a chance to exhibit at the online EXPO. Furthermore, visitors who cannot attend the physical exhibition due to visa issues, lack of resources or time constraints can still get a chance to engage with your exhibitors. This means that you as an organizer can boost your limits of the physical trade show by making some of it accessible online. 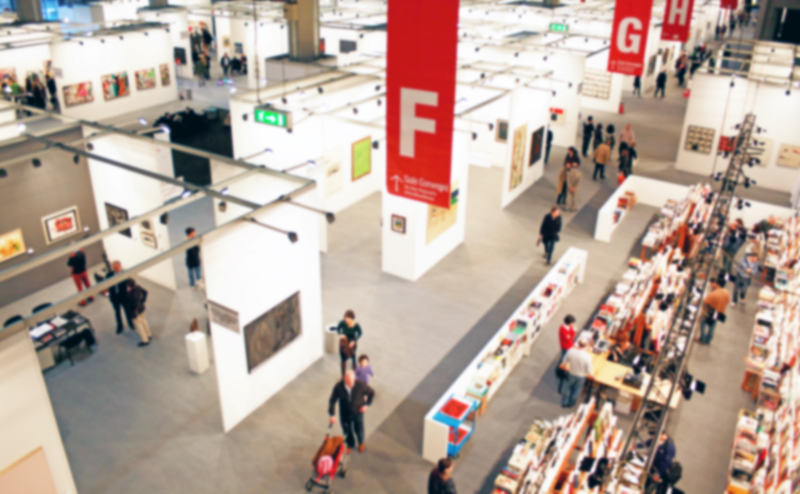 Many organizers only host one physical exhibition a year within a specific industry. These organizers now have the possibility to keep their brands in the minds of exhibitors and visitors all year, as the online EXPO can take place e.g. 6 months after the physical EXPO. The online EXPO does not demand a lot of resources to plan, as it only takes 2 minutes to set up the online EXPO. Inviting exhibitors and visitors is the only effort, and when the exhibitors have made their company profiles once, all they need to do is press on the EXHIBIT button every year to exhibit online again. Hosting an EXPO online at FeedsFloor.com is free of any charges. Organizers can even generate revenue from exhibitors or choose to make it free for exhibitors. Organizers can even make price differentiations depending on whether an exhibitor also has paid for a physical booth at the trade show or if an exhibitor is only exhibiting online. The organizer decides who is allowed to exhibit at the online EXPO and can even make it available only for sponsors of the physical EXPO. As a company or organization, you can have a branded profile showcasing all your products, news and videos for free. Once you are interested in exhibiting at an online EXPO, you merely press on EXHIBIT and wait for your company to be approved by the host of the EXPO. If the EXPO includes an exhibition fee, you input credit card details; however, the money is not transferred until the organizer has accepted you. Once the host of an EXPO has accepted you, your branded profile and products/services are automatically swooped on to the EXPO page, promoting you to visitors of the online EXPO. Thus, you can exhibit in as many online EXPOs as you want to with one profile, or merely create your company profile and wait for users of FeedsFloor to search for you. The profile is also very easy to share on social media and can also be seen by non-members of FeedsFloor. Exhibitors at exhibitions now have an opportunity to reach an even greater audience, as visitors not being able to attend the physical exhibition due to budget or time constraints etc. still have a chance to chat and engage with you and your company. Before an EXPO is LIVE, visitors can write to you via your branded profile, and once an EXPO is LIVE both visitors and other exhibitors can chat and engage with you in real time. Online EXPOs are most often highly specialized and niche-oriented, and therefore visitors are most often of high quality and driven by their interests for that particular niche. An example is a professional blogger in CNC machine technology with over 350,000 followers on Facebook. He made a focused EXPO on CNC machines and had 17 companies with 85 products exhibiting and over 1000 visitors signed up. We know that visiting online EXPOs is not the same as experiencing the atmosphere and having face-to-face talks at physical trade shows. However, we also know that sometimes, you do not have time to attend a trade show on the other side of the world or even in another city in your own country. At FeedsFloor.com, you therefore still have the opportunity of chatting and engaging with exhibitors. You can for instance chat with an exhibitor from Spain via an EXPO in Singapore. Visitors can discover and engage with companies on their own terms from the sofa, office or beach even. All exhibitor profiles are in the same format, showcasing the exhibitors’ short company description, products/services, news and videos. This means visitors can easily research exhibitors before, during and after an EXPO, without having to look through different website formats. As an individual member, you can also create a branded profile free of charge. Branding you as an expert, journalist, job seeker, purchaser etc. You can for instance link your profile on FeedsFloor to your LinkedIn, Twitter, Instagram or Snapchat profiles. When you visit online EXPOs at FeedsFloor.com, you remain anonymous until you begin a chat or write messages to exhibitors. When you create a company profile at FeedsFloor, you can with one profile host, exhibit at and visit online EXPOs from all over the world saving you time and resources and get straight to the main thing – doing business on the go! Want to know more? Go to www.FeedsFloor.com.